The Geek Travels: Travel Tips: What is Air Traffic Congestion? Manila is the capital of Philippines and Ninoy Aquino International Airport (ICAO: RPLL / IATA: MNL) is the primary gateway of the country. In the 2013 statistics of the Civil Aviation Authority of the Philippines (CAAP), NAIA had handled 32.9 million passengers. On average, a total of 900 flights fly in and out of this airport daily. With so many flights on a limited runway capacity, flight delays are expected. 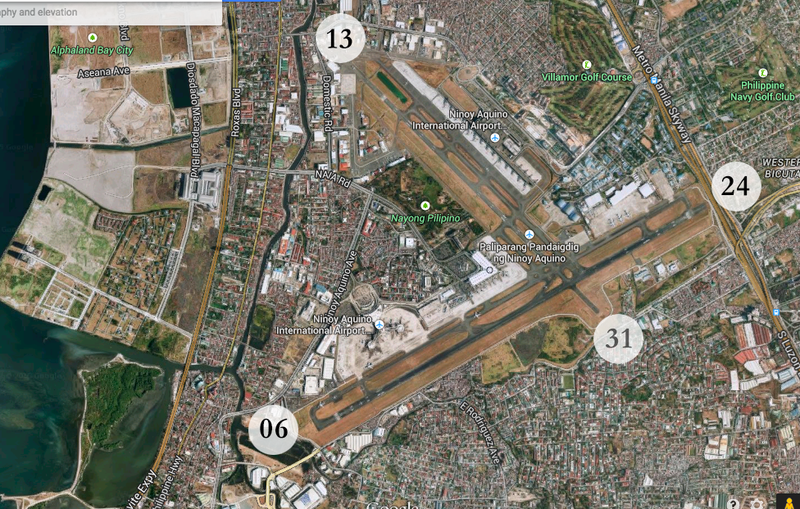 NAIA has two runways: the primary runway 06/24 and the secondary runway 13/31. As I’ve mentioned in my earlier blog post, these two are intersecting runways. Meaning, simultaneous operations are limited. Imagine that these two intersecting runways are highways. Cars do not just cross the intersection. In the absence of a traffic light or even a traffic aide, the driver separates himself from those vehicles coming from both sides. Aircraft on the other hand, can’t just simply stop and float midair. The principles of aerodynamics state that even if you turn off the engines of an aircraft, it will still continue to glide on a fixed rate of descent. Now that’s where the air traffic controllers come into the picture. Their primary job is to maintain a safe, orderly, and expeditious flow of air traffic. You can’t just simply give a take-off clearance to an aircraft at runway 13 when you have an arrival traffic at runway 06 in 2 miles or less! Remember, landings are given a higher priority than take-offs. Runway 06/24 is the only runway used for instrument approaches which is capable of handling up to 23 landings per hour. Beyond that, the aircraft is expected to hold midair until they can be accommodated by Manila Radar Approach. Holding midair is inefficient because it burns a lot of fuel, uncomfortable to the passengers, and adds stress to the already stressful work of an air traffic controller. The two intersecting runways of NAIA. Photo by Google Maps. To illustrate, if there are 25 landings at a given hour, the last two aircraft will hold over Manila which will be carried out to the next hour. Now, if the succeeding hour has 27 arrivals, there will be an additional of four aircraft holding midair. Now, when the number of arrivals becomes out of hand, chances are the number of aircraft holding midair will start to pile up until it comes to a point that they’re being held above for too long. They either go back to their departure aerodrome, or proceed to their alternate airport for refueling. 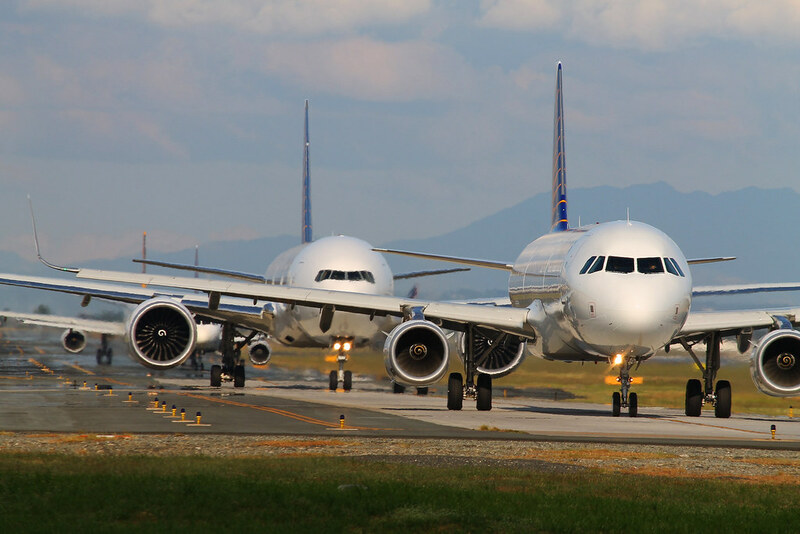 At the risk of breaching the minimum separation agreement mandated by the International Civil Aviation Organization (ICAO), air traffic controllers don’t have a choice but to put them on hold until they can be accommodated for the approach and landing. Waiting for take-off clearance. Aircraft taxiing at Taxiway Charlie of NAIA. To minimize this predicament, the Manila Air Traffic Flow Management (ATFM) implemented the GDP or the Ground Delay Program. All flights (except for military and VVIP flights) that are bound for Manila will be subjected to a ground delay. After the pilot requests for an ATC clearance back to Manila, the Area Control Center will notify ATFM about it. Minutes later, the computer will generate the flight’s EDCT or estimate departure clearance time. This information will be relayed back to the Area Control Center, then to the Clearance Delivery, and ultimately to the pilot. It’s better to be delayed on ground than on air. More so, it guarantees that the aircraft will no longer hold on air once they’re approaching Manila. Like John’s situation, their flight to Manila was given an hour of ground delay due to numerous planned flights to Manila. To address this long time issue, the government had proposed of building another terminal at the NAIA complex. What we need right now is another runway, capable of simultaneous operations to mitigate these delays and to increase NAIA's capacity. But then again, where on Earth should we place this additional runway? You have to consider that there are a LOT of properties along the complex, ranging from high-end residential villages to shanties. The airport complex had been occupying its present position for the last 50 years although as years went by, more and more people started to settle around it. There had been no long-term planning during that time because people didn’t anticipate that there would be a sudden influx of air traffic starting in the mid 90s. Every year, the situation gets worse as more and more airlines fly in and out of the capital city. Delays are undeniably inevitable, but safety is paramount. This is just one of the reasons why your flight to Manila is delayed. 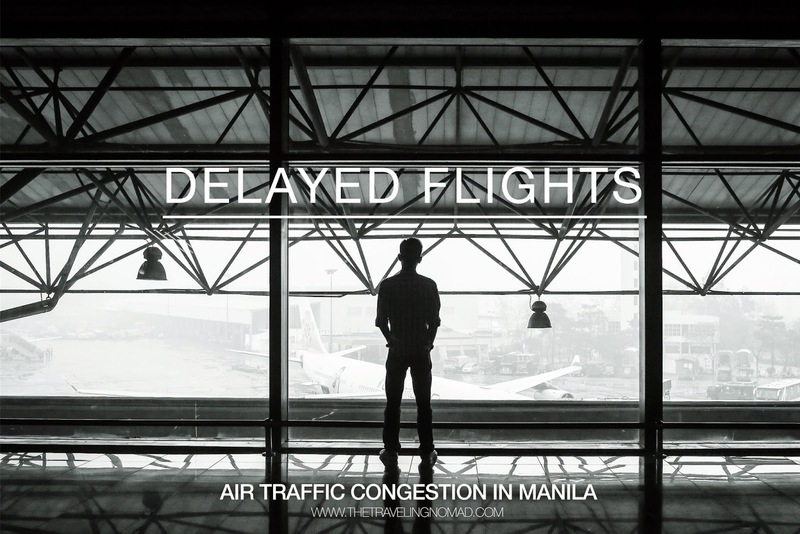 To know more about the flight delays brought about by other factors such as sunset limitation, weather, and ramp congestions, click here. I do hope this article helps you. Pro tip: Avoid taking flights from 9:30AM until 7PM. Take the first or evening flights instead if you don’t want delays.